SANTA FE – Native fish restoration efforts on Whitewater Creek is scheduled for Oct. 10-21, 2018. As part of the Whitewater Creek Native Fish Restoration Project, the department will remove non-native trout from Whitewater Creek to allow restoration of Gila trout and other native fish to their historic range. This portion of the project starts at the Gila National Forest boundary below the Catwalk National Recreation Trail parking area and continues upstream to the headwaters. The department will apply rotenone based products – CFT Legumine® and Prentox® Rotenone Fish Toxicant Powder™ – to the stream to remove non-native salmonids. The Environmental Protection Agency (EPA) has determined that rotenone is highly effective for removal of fish and that the resulting concentrations of ingredients poses little, if any, hazards to public health. The pesticide will be neutralized with potassium permanganate and treated water will not leave the project area. A temporary closure for October 10-21 will be issued by the Gila National Forest Supervisor Adam Mendonca. Signs will be posted at all trailheads that access closed areas. For more information on the Gila National Forest, visit https://www.fs.usda.gov/gila/. 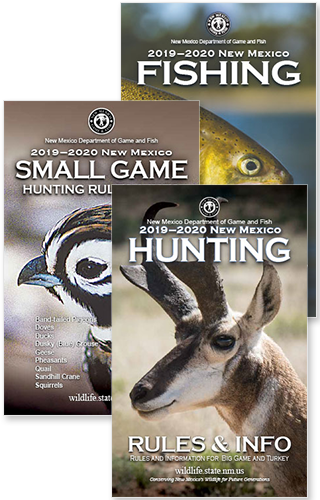 For information on the native Gila trout, visit http://www.wildlife.state.nm.us/fishing/native-new-mexico-fish/gila-trout-recovery-angling/. When completed this project will contribute 23 miles of stream for Gila trout recovery and recreational angling purposes.